There are moments when time stands still. When discovering and being mesmerized become one, when an artist whose name you don’t really know, suddenly becomes a revelation to you. 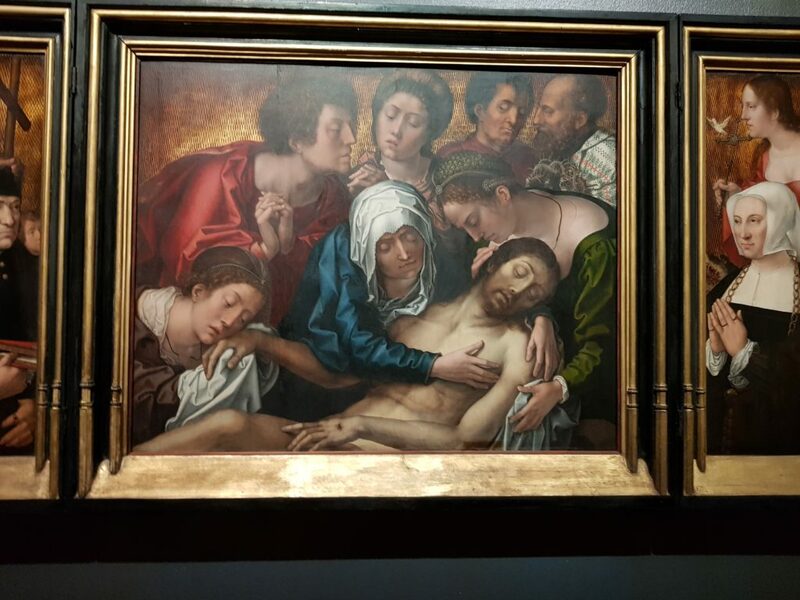 I experienced such a moment when visiting the monographic exhibition dedicated to Bernard van Orley in the Palais des Beaux-Arts (Bozar) in Brussels. How is it that Bernard van Orley has been unknown to me so far? 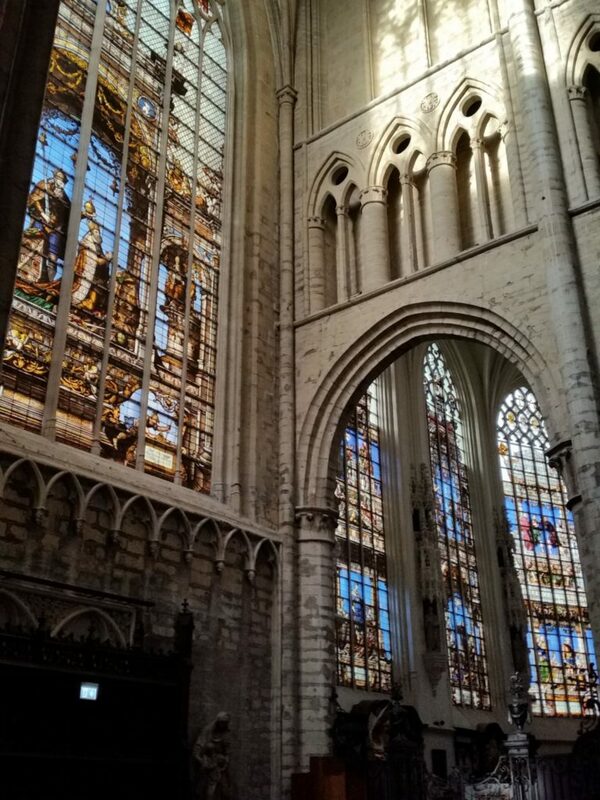 When I last sang in the Cathedral Saints Michael and Gudula, I couldn’t stop looking at the absolutely incredible stained windows and still have them very clearly in my mind. Yet, it never occurred to me to check who the artist was. Until now. Who is Bernard van Orley? Bernard van Orley is a Renaissance painter from Brussels. Born in 1488, he is thought to have been trained by his father Valentin. 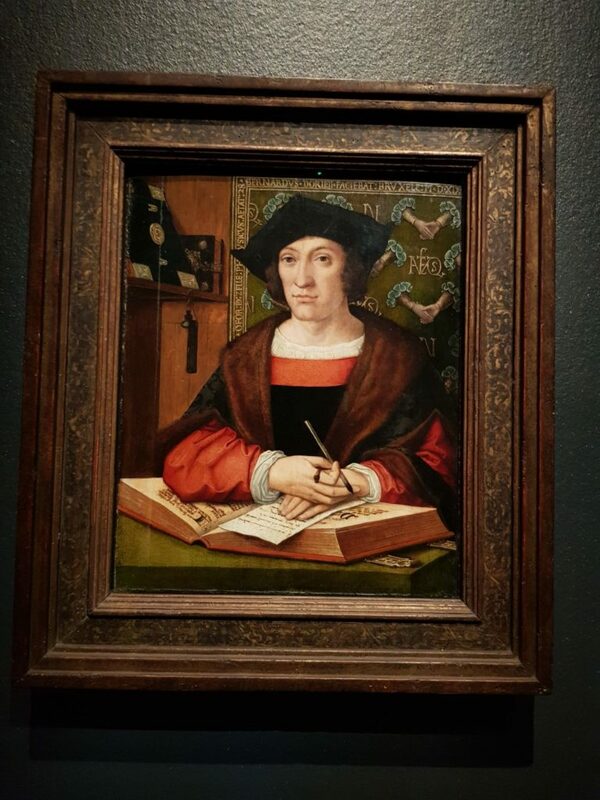 He was the court painter to Marguerite of Austria from 1518 and then to Mary from Hungary from 1532, receiving also commissions from Charles V. He was a very popular painter in his day, owning his studio and can be seen as the missing link between Rogier van der Weyden and Pieter Bruegel the Elder. Seeing that this year celebrates the 450th anniversary of Pieter Bruegel the Elder’s death, numerous exhibitions such as the one in Vienna which you can read about in the previous blog (Insights into Bruegel) are being shown all over. Here, in Brussels, Bruegel is being celebrated too. However, the Bozar has decided to take an indirect approach by celebrating his predecessor Bernard van Orley in a major exhibition and holding another show presenting “Prints in the Age of Bruegel“. What an excellent idea this is! Van Orley was a very complete artist. He painted portraits, devotional paintings, produced tapestries and stained glass windows. In his beginnings, he did it all alone, but quite early on, he started his studio and left more and more the painting to his assistants, allowing him to concentrate on the tapestries and the stained glass windows. In 1520, van Orley gave a feast in his house in honour of Albrecht Dürer. Dürer was at the time visiting the Low Countries and presented van Orley with several engravings and also painted his portrait. 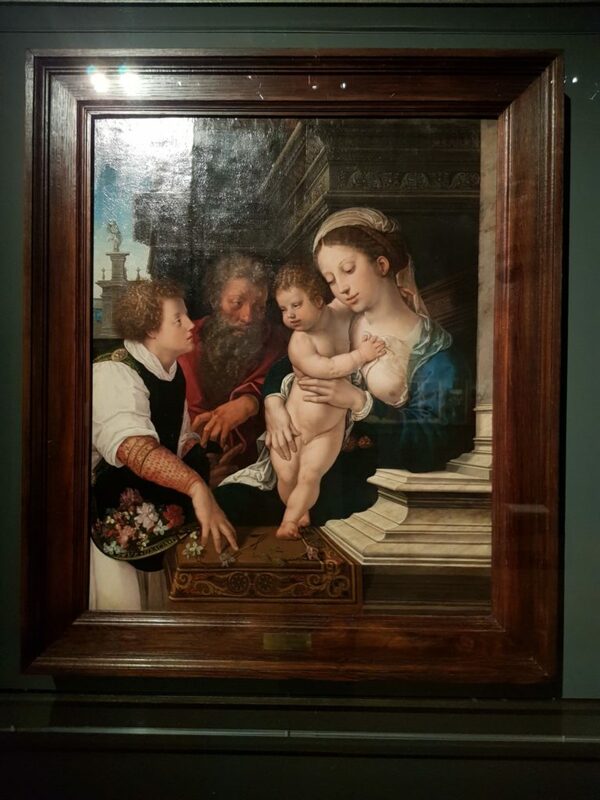 Van Orley was influenced in his work not only by Dürer but also by Italian painters such as Mantegna ( whose work you can see in Berlin in another wonderful exhibition ( Mantegna-Bellini ) or Da Vinci. 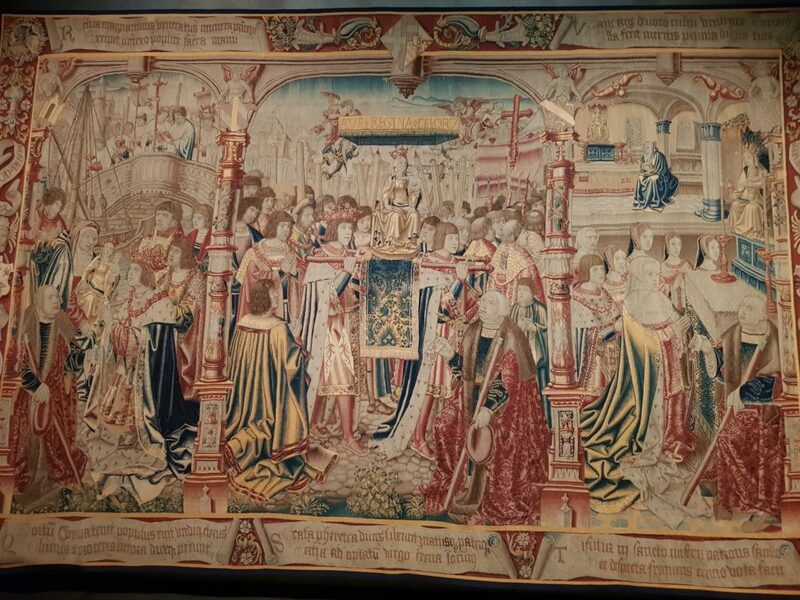 Van Orley not only made tapestries for the Emperor Charles V: he excelled in this art already early on in his career. In the first room we find a gorgeous example from his early days: “Our Blessed Lady of the Sablon”, made for the imperial postmaster Frans van Taxis. Margaret of Austria (Aunt to Charles V) took him into her service in 1518. She already then possessed an important collection of tapestries, extending it further with the orders to her court artist. In the exhibition the “Square Passion” is being shown fully. 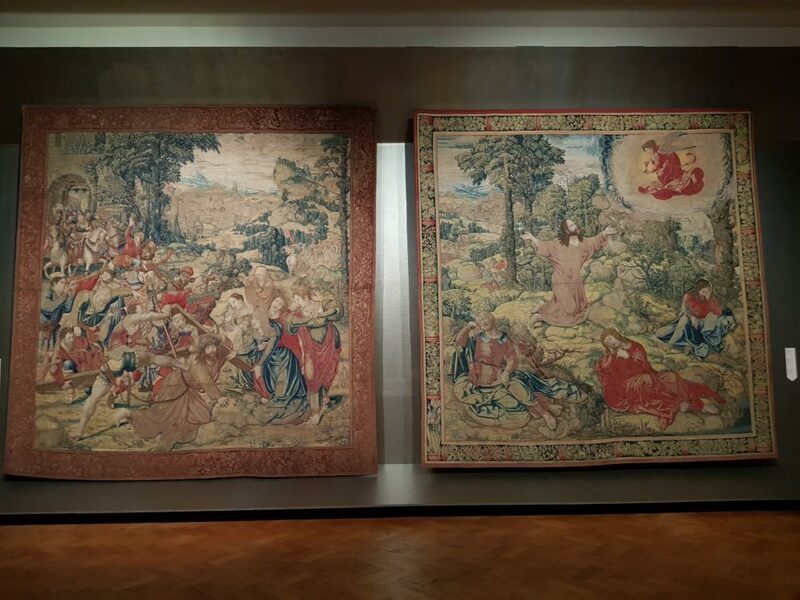 It is a set of four devotional tapestries, which were produced between 1518-1522 and regarded as one of the most refined creations of this period. 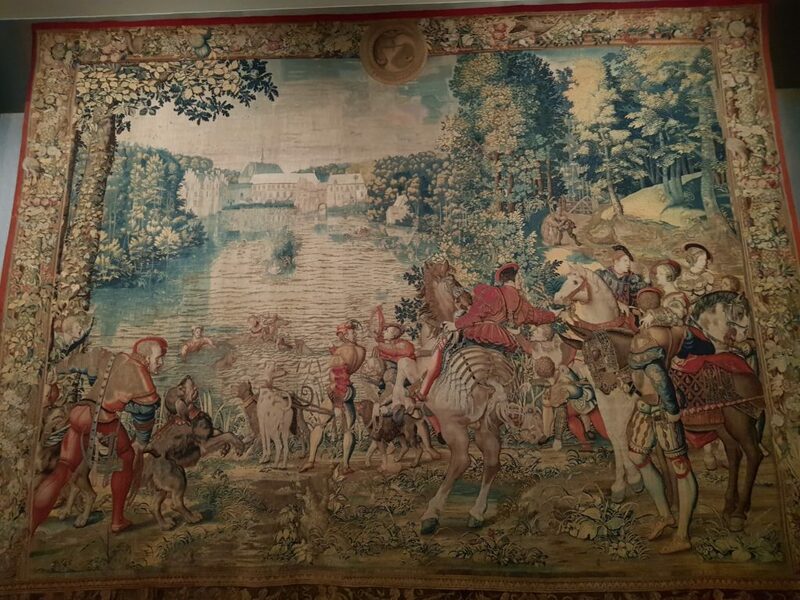 Around 1530, van Orley made two large tapestries series for the Emperor Charles V. These are among the most prestigious ever realized by the Brussels workshops. The Emperor Charles V was then at the height of his powers, and Brussels was the city he lived in most, making it the center of the western world. In this exhibition we see “The Battle of Pavia. 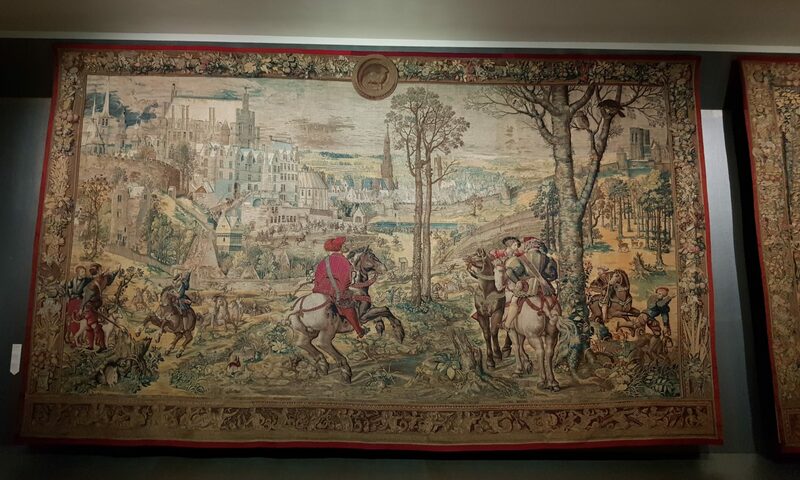 Attack on the French Camp and Flight of the Besieged” from a series of 7 Tapestries depicting the military victory in Nothern Italy in 1525 by the new imperial armies. On the other side of the room a set of 3 tapestries from a series of twelve, depicting The Hunts of Charles V are shown. Here we find a beautiful representation of the Brussels landscape. When van Orley entered the services of Margaret of Austria he was a known painter, having already produced the prototypes for traditional portraits of the regent and young Charles which were copied and distributed numerous times. This was reason enough for important public figures such as the doctor Georges de Zelle to get their portrait made by him too. What a feast this exhibition is. My afternoon there was reason enough for me to get the catalogue, which I can highly recommend even if it is a little pricy. I also want to point out that in the last room, at the end of the exhibition you will find a small flyer with an invitation to walk to different places in Brussels where you can discover more about this great artist. It is a little darkly lit there, so you may not see the flyer at first glance. Of course, the stained glass windows can’t be in the exhibition, although some wonderful drawings and sketches are shown. I have, however, found a photo from a segment of those at the Saints Michael and Gudula Cathedral from my last time there, which I want to share with you. It is a fine thing when one can finally recognize an artist whose work one has admired before.